Websites for real estate offices must serve a few key functions. The best ones act as a one-stop-shop for the buyers and sellers of homes. For your site to be successful, therefore, you must ask yourself why people would visit a real estate office’s website in the first place. Being able to answer these questions will help you tailor your site’s content to that. Here are some of the best ways you can do that. The Google Keyword Planner can help. These are local keywords that local buyers looking for homes will use. This type of keywording allows people who are searching the Internet to find you, hopefully before they find your competitor. This is an especially important tactic if you want to capture people who have not yet decided upon a Realtor. That said, Realtor.org reminds you not to over think SEO too much. Your general content will pull more in the long run. Nowadays, people shop for items, even homes, long before they ever leave the house. Why not play into this trend by providing them with virtual home tours? A low-tech version of this could include stills of the home taken in every room. You can post them on your website on that home’s page. Slideshows are another good option. You can create them for free on your Flickr account. You’ll even get a code from Flickr that allows you to embed the slideshow directly into your website. Adweek also has a list of free slideshow programs that it recommends, including Animoto, which allows you to create slideshows with music. The embedding option works well for sites that are made from WordPress, because this platform is easy to change, and its interface already allows you to add HTML to the site. 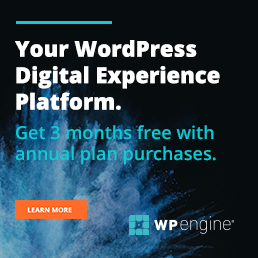 However, you’re not limited to WordPress. Many common formats allow for the embedding of HTML. WordPress just happens to be a common one. Finally, whatever you do, make sure that your virtual home tour is accessible by a number of devices. More than half of people searching the web today search via mobile phone. Marketing can actually encompass quite a range of activities. Start with a blog. Aside from your neighborhood pages, there’s no better way to add fresh content to your site, which search engines love, than by keeping a regular blog. All of this information can be on your blog, which you can share on social media, another important source of digital marketing. If people find your site, and they want to explore it further, can they? That is to say, do you have a search box on your site plus easy-to-navigate links? A good user experience (UX) is what will determine how long people stay on your site, whether they will come back and use it again, and ultimately whether they will contact you online. A search box or search functionality that you can customize with a home’s particulars like the number of bedrooms/ bathrooms, price, schools in the area, and other likely criteria will help buyers looking for specific homes. Search functionality can be easily integrated into your WordPress website using an IDX Plugin. The links on the other hand, allow for visitors to follow a train of thought from one page to the next. For example, if you wrote an article about market stats for the month, hyperlink it to your main market stats page or a specific stat from the same month from the year prior. These types of search functions keep visitors on your site. This not only raises your SEO rank with the search engine, it may also result in a lead that you can follow up on. In my opinion the most important part of a real estate website is connecting with people. Building relationships, and generating leads and referrals. Try incorporating lead magnets on your landing pages to generate new leads. Be sure to make it easy for people to find you. Put your contact information where it can be seen on every page. Doing this ensures that when people are ready to call you or email you, they absolutely can. You never know. You might just sell a house or two this way. 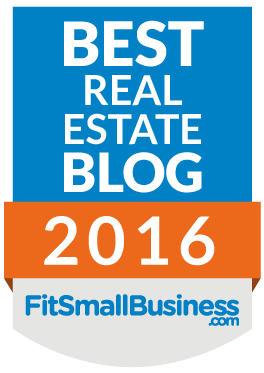 The tips and tricks on this page only represent a few items that should be on your real estate website. Keep the visitors landing on your pages and searching for a long time. And the more they’re engaged, the better it is for you.